Every state across the country is home to plastics manufacturers and establishments engaged in plastics processing, marketing, support and captive activities that collectively comprise one of the U.S.’s largest manufacturing sectors. From polymers to products, many of these facilities contribute to or directly produce goods that have environmental benefits – from helping make automobiles more fuel-efficient to recycling products that keep plastics out of landfills. In the process, employers are committed to minimizing impacts on human health and the environment. 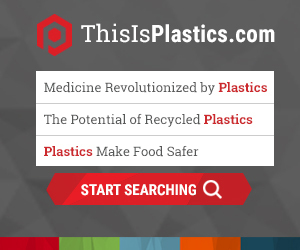 What role does the Plastics Industry Association (PLASTICS) have in addressing environmental issues? The Plastics Industry Association (PLASTICS) has an Environmental Issues Task Group of the EHS+ Committee. We invite all members to participate and hold meetings three times annually. Additionally, we host interim conference calls. The Product Regulatory Task Group addresses The Environmental Protection Agency’s (EPA’s) administration of the Toxic Substances Control Act (TSCA). PLASTICS monitors and responds primarily to federal initiatives, engaging with the EPA and participating in the rulemaking process to meet the needs of our members. Currently, PLASTICS is developing a program to assist new and career-transitioning product stewardship professionals with better understanding the plastics industry and relevant EHS regulations. The EHS+ Committee supports Operation Clean Sweep, an international program designed to prevent resin pellet, flake, and powder loss and help keep this material out of the marine environment.